Rally the Readers: Six Years of Blogging! 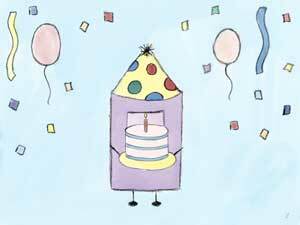 It's hard to believe, but this little blog started six years ago today! So much has changed in six years. When the blog began way back in 2012, my cousins Ally and Melissa and I averaged reading probably 50 books a year each and posted on the blog at least three times a week, sometimes more. Those were the days! Now we're all busy with things like school and work and other adventures in adulting. We don't read or post nearly as much as we used to, but I think we can give ourselves some credit for at least still being here, lol. Thanks to everyone who's stopped by to chat with us over the years. Getting to connect with you has been the absolute best, and we're going to keep on reading and blogging away, even if it's at our current snail's pace, lol. Thanks, Charlene! :D It's hard to believe it's really been that long, lol!